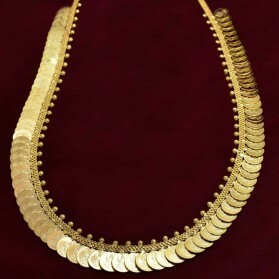 Traditional Nagapadam Necklace is ethnic South Indian, Kerala Jewelry. 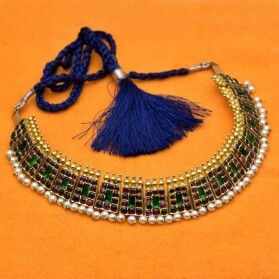 This Jewellery has been arranged beautifully with Nagapadam and stones. 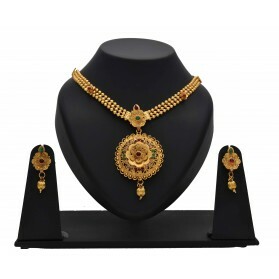 Small round Pendant have round palakka stud at center and White stones fixed around and at bottom there is some golden bead hangings. 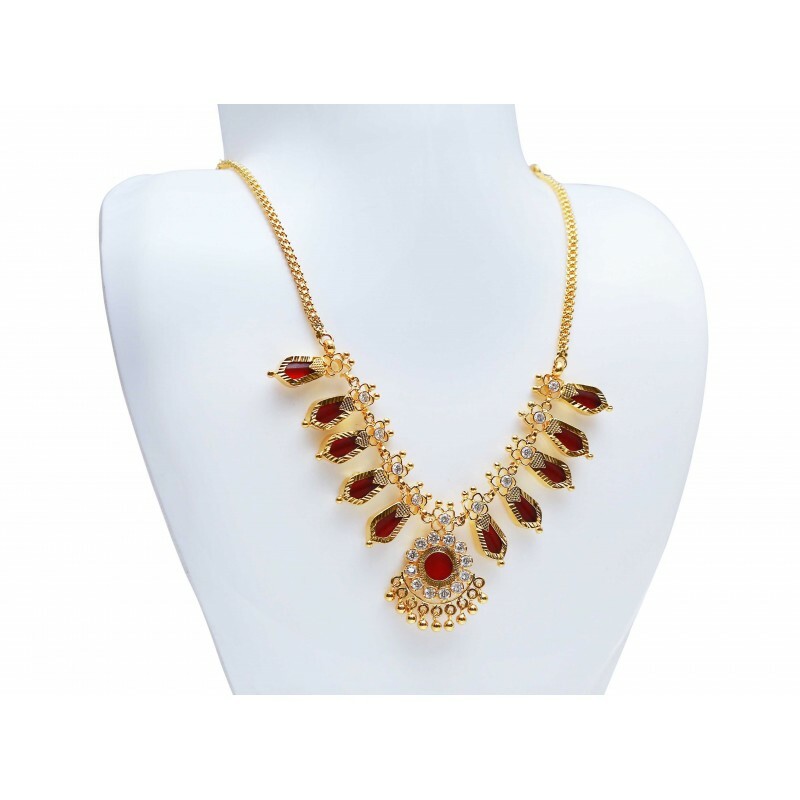 It is best suited on festive occasions, Marriages and as Bridal wear. 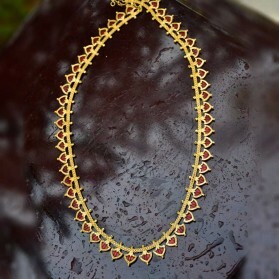 By buying this product you can collect up to 128 loyalty points. 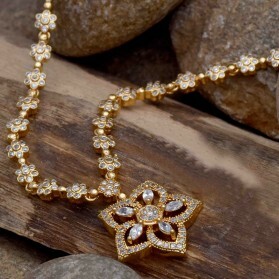 Your cart will total 128 points that can be converted into a voucher of ₹ 25.60.